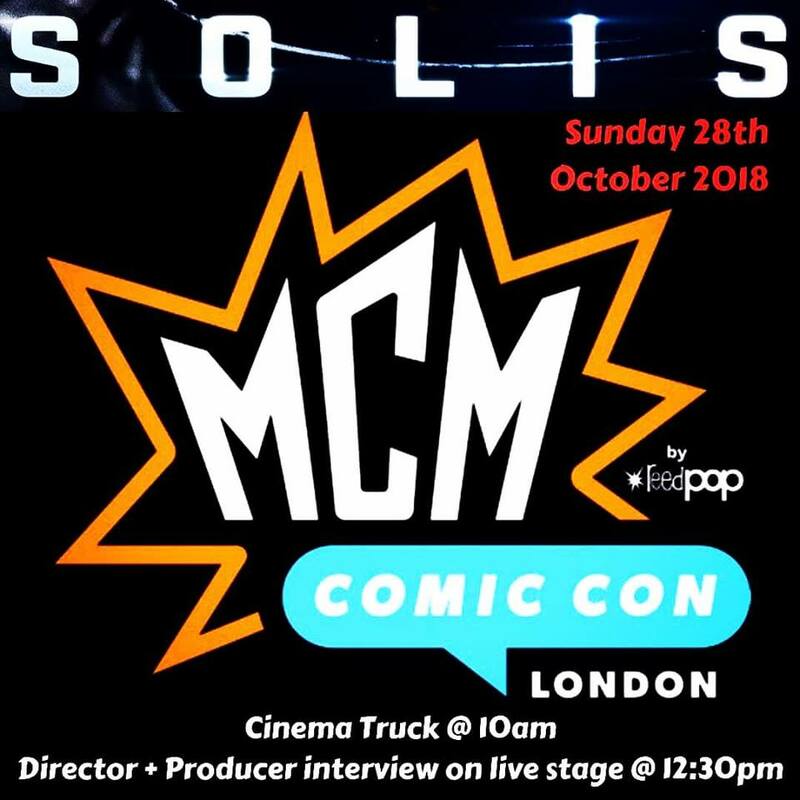 On the 28th October our Action, Sci-Fi ‘Solis’ screened at the renowned MCM London Comic Con. There was a Q&A after the screening hosted by the producer Charlette Kilby and director Carl Strathie. ‘Solis’ follows the astronaut Troy Holloway (Steven Ogg), who wakes up to find himself trapped aboard a drifting escape pod shooting towards the Sun. With rapid oxygen depletion and a burn- up rate of 90 minutes, Commander Roberts (Alice Lowe) leads a rescue party to save Holloway before time runs out. Having recently lost his son and now confronted by his immediate end, Holloway feels less enthusiastic about survival. But Roberts, speaking to him only through a weak radio transmission, is determined to save his life, and both soon learn that the lives they have both lived influence each other in unexpected ways. 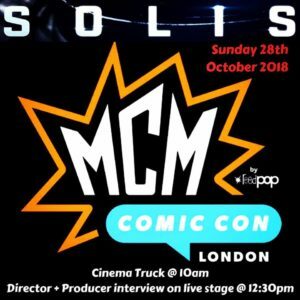 ‘Solis’ will be released in the UK this December.